Introducing #The12 Shirts. Get Yours Now. 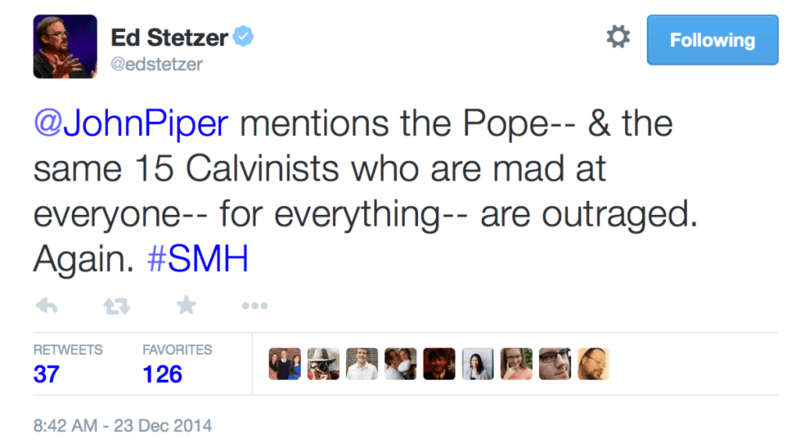 In December of 2014, we launched #the15 when Ed Stetzer said that we were “just the same 15 angry Calvinists mad at everything.” By the time it was over, thousands of Arminians and Calvinists were tweeting with the hashtag #the15 in wide-sweeping support for discernment. With that social media wave, Alex Malarkey joined #the15 and his Open Letter to Lifeway became the biggest news story in the world on January 17 and 18 of 2015. Stetzer had underestimated his opponents, and it turned out that people were fed up with Christian retailers like Lifeway selling spiritual crack. Soon, Pulpit & Pen and the shame of Stetzer’s employer were being talked about from the New York Times to the Today Show to the UK Daily Mail. It backfired. In the midst of that jumbled, compromising episode, which dripped in egotism as he compiled a Tower of Babel to his own pride, he happened to mention that Pulpit & Pen had “twelve followers” (interesting choice of a number). Of course, we have an Internet rank double that Alpha and Omega Ministries, 20 thousand Facebook follows and upwards of 18k page views per day (yesterday it was 18,216 in fact). Never mind the thousands of people in our Facebook group. This is what you call the logical fallacies of argument ad populum, ad hominem and red herring. If we wanted to determine truth by followers (and we do not), Brannon Howse was right and James White was wrong based upon nothing but the gross disparity in listenership between Worldview Weekend and The Dividing Line (to clarify, that is not our logic; that’s James White’s). So, in the honor of James White, we are introducing #The12 shirts. Consider it a throw-back of nostalgia. 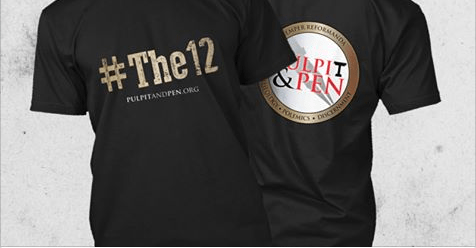 If you support consistent discernment (even among Calvinists, who often think they’re above it) and the work of polemics, you can purchase the shirts here.